company history 2×3 | 2×3 S.A. Moved productions to the new halls. We started 2×3 Ukraine Ltd.
First interactive boards – 2×3 iBoard. Company awarded the title Gazele Biznesu for 2007. We start cooperation with PolyVision. To offer introduced innovations interactive boards ēno. We got certyfikaty zgodności z Polską Normą. 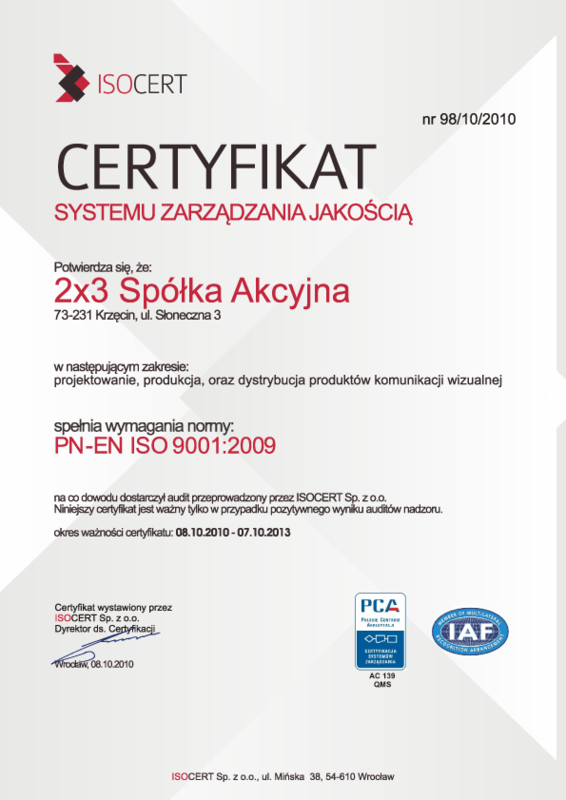 2×3 S.A. obtained certificate of Quality Management System ISO 9001.